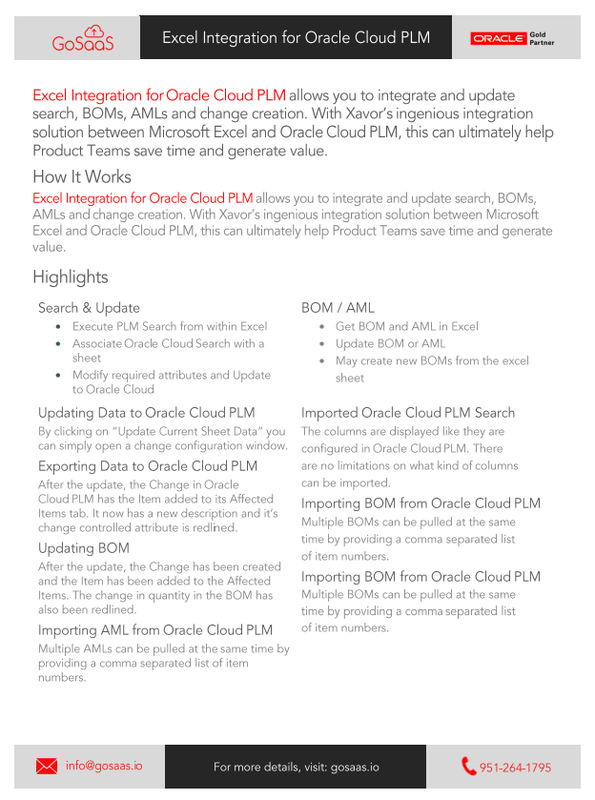 Excel Integration for Oracle Cloud PLM allows you to integrate and update search, BOMs, AMLs and change creation. With our ingenious integration solution between Microsoft Excel and Oracle Cloud PLM, this can ultimately help Product Teams save time and generate value. The columns are displayed like they are configured in Oracle Cloud PLM. There are no limitations on what kind of columns can be imported. After the update, the Change in Oracle Cloud PLM has the Item added to its Affected Items tab. It now has a new description and it’s change controlled attribute is redlined.